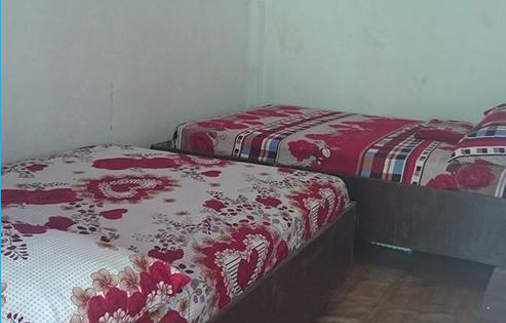 Our room accommodations are designed for backpackers and travelers looking for convenience at a very affordable price. 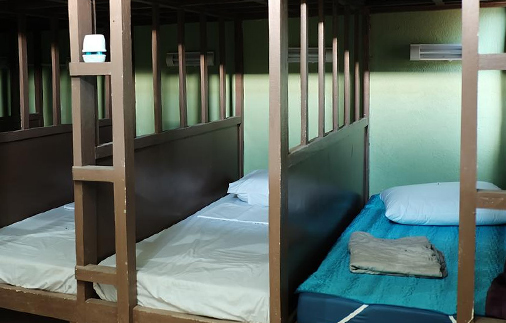 Fewer crowds means more privacy, so we offer a dorm room type that best suit to any backpackers who wants extra bits of alone time or not ready to meet lots of people all at once. 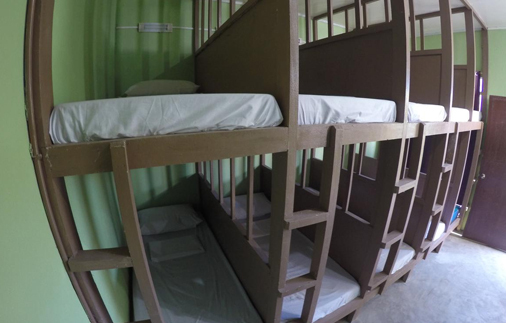 This dormitory provides 4 comfortable bunk beds, fully equipped with their own bed light, curtain and a personal locker. Bathrooms are shared and Wi-Fi connection is available in the chill-out area. Traveling as a group with a tight budget and needs privacy? Double Twin Bed Fan Room is the best option for you. This private fan room has comfortable double sized twin beds that can accommodate 4 people. Each guest is provided with a personal locker to keep their important belongings safe. Bathrooms are shared and Wi-Fi connection is available in the chill-out area. These 10 beds mixed dorm is for you, it offers both of what you need. Share your thoughts and meet new travelers, at the same time you may choose to rest or read alone in your bed. It is just a matter of opening or closing your bed curtains. 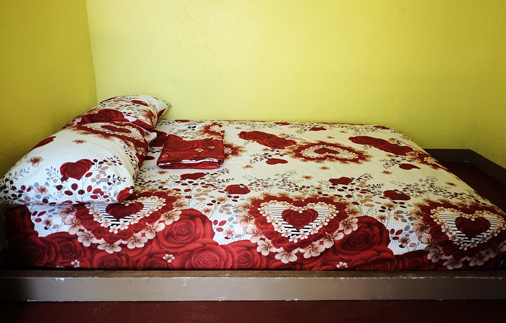 This bunk bed type room offers 10 full comfortable single-type beds, with curtains for privacy. Wifi is available in the chill-out bar. Bathrooms are shared but you’ll be provided with your own locker for personal items’ safe keeping. Why don't you join with us in a 14 bunk beds dorm and share your passion with other backpackers and travelers. You'll never know, you might bump in with the same passion and create an epic travel experience around the Philippines. 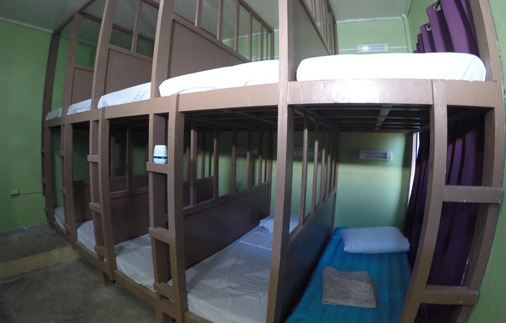 The bunk bed dorm offers 14 full comfortable beds, single size with dim light, attached with curtain for privacy, provided with locker and Wifi available in the chill-out area. Bathrooms are shared yet designed to be remote for your privacy. Want something more private and extra bits of alone time? 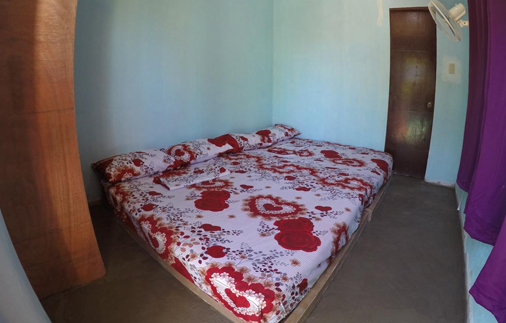 We have a Private Double Room for you, a room that gives you both tranquility and convenience. We offer you this room for a good rest and privacy with your travel partner. An air-condition ready with your very own private bathroom with hot and cold shower and cabinet for your stuff. Wifi connection is available in the chill-out area where you can meet other travelers. Traveling as a group of friends or family that wants to stay in a private room? We have a family room just for you. We love having families come to stay, and want your visit to be as comfy and affordable as it is fun. That’s why there’s no extra charge for our fantastic, spacious family rooms good for four persons. Our family room has a two double king sized bed good for 4 people as it is. The room has a private bath with hot and cold shower provided with linen. You have your own closet for your important stuff and it is fully air-conditioned room. Our Wifi is available in the chill-out area. A great part of our Filipino culture is singing. A karaoke night is another way to enjoy and celebrate your vacation. Basically, it is like a singing and drinking contest at the same time in pub or resto-bar during the night. Every group orders their own drinks and food while everybody takes turn with one microphone once their selected songs on queue finally play. No judgment! You may sing ‘til your heart’s content. Everybody is welcome to show their singing talents, even for those who don’t have the talent. Cliché as it is that practice makes it perfect. Meet new friends with the same passion from around the world. We’d like to invite all of you to be a part of this great community by visiting and staying in and chill. Copyright © 2016 MALAPASCUA BUDGET INN. All rights reserved.